Osteoarthritis can affect every gender and at any age but it commonly occurs in women than in men. In America there are approximately 27 million Americans aged over 25 who live with osteoarthritis. Osteoarthritis commonly occurs after the age of 45. 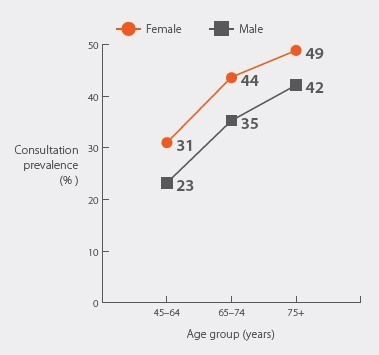 Men who are under the age of 55 are more likely to develop osteoarthritis than women who are in the same age group but after the age of 55 women are commonly affected. There are several reasons why women are commonly affected by osteoarthritis but first lets know what is osteoarthritis. Osteoarthritis is a condition which commonly affects the cartilage and the rubbery cushion that covers the bones in the joint making them flexible. After some period of time the cartilage becomes stiff resulting to damages and the bones starts to rub on each other. i. Injury. Repetitive motion such as running, typing and operating machinery can put you at risk of developing osteoarthritis and stressing the joints. Injuries of the soft tissue such as anterior cruciate ligament can lead to osteoarthritis. Osteoarthritis can also occur in bones which have had fractures and surgeries. ii. Obesity. When you gain weight you put stress on the lower body joints. Your knees are susceptible to injuries because they carry the brunt on your weight. You should avoid gaining weight as you head towards your middle age as this can put you at high risk of developing osteoarthritis. For every pound you gain, you put 4 pounds of pressure on your knees and six times the pressure on your hips. Research has also shown that excess body fat produces chemicals which travel through the body and result to joint pain. iii. Age. As you get older your chances of developing osteoarthritis increases. This is usually as a result of wear and tear on the joints but it should be noted that not every old person get osteoarthritis. v. Genetics. Genes are believed to play a role in the development and progression of osteoarthritis especially the hand osteoarthritis. Bone abnormalities that are inherited which affects the joints shape and stability that cause abnormal cartilage formation can cause osteoarthritis. The genetic trait does not necessarily mean you will develop osteoarthritis but you should inform your doctor immediately you notice signs and symptoms of arthritis. i. Differences in women body compared to men's body. Women have more elastic tendons than men. Elastic tendons allow for more joint movement and are usually less stable. The instability of the joints put them at risk of injury and damage over time. Women have wide hips compared to men. 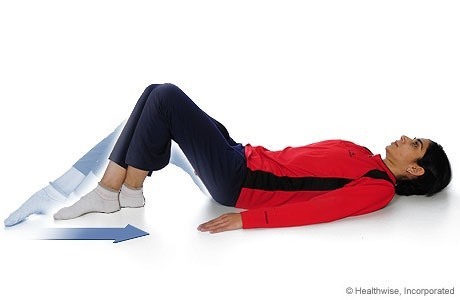 This usually causes misalignment of the legs leading to greater risks of having injury over the course of their life. The injuries during early life can make the women to develop osteoarthritis later in their life. ii. The hormones. The female's hormones tend to be a significant factor. Before a women gets to menopause, the woman's cartilage and joints are protected by estrogen which usually protects the cartilage from inflammation. The level of estrogen goes down after menopause and this results to joint inflammation, deterioration of the cartilage and the finally the onset of osteoarthritis. iii. Gender specific link to osteoarthritis. Knees and hand osteoarthritis have a specific genetic link; this makes women at a high risk of developing osteoarthritis compared to men. Other factors which put women at higher risk of developing osteoarthritis include giving birth to many children, early puberty onset and taking hormones replacement therapy. 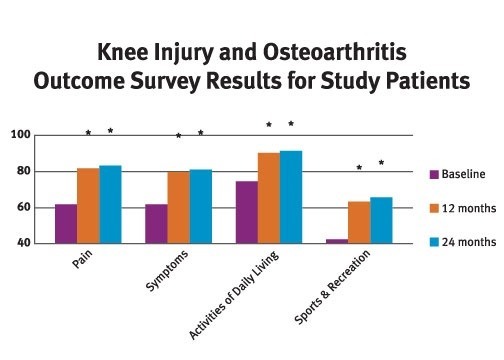 Even though women have higher risk of getting osteoarthritis doctors are less likely to recommend joint replacement surgery to women who experience knee pain compared to men. A reason that has been cited is that men are more active than women therefore making women arthritis to be managed conservatively. In cases where the pain is extreme doctors can perform a surgery. This is mostly in cases where the oral medication, weight loss, injection and physical therapy cannot control the pain. NCCH (National Centre for Classification in Health) 2010. The international statistical classification of diseases and related health problems, 10th revision, Australian modification (ICD-10-AM), Australian Classification of Health Interventions (ACHI) and Australian Coding Standards (ACS), 7th ed. Sydney: University of Sydney.